How can I order a replacement for a defective piece of Meissen porcelain? Please contact our customer service or go directly to one of our boutiques, where we can check whether a replacement order is possible and how much it will cost. Is it possible to send my order as a gift? Each product comes in high-quality packaging and can also be gift wrapped. In addition, a personalized greeting card can be added to each order. To cancel an order, please call our customer service at +49 3521 468 600. How can I add something to an already placed order? Unfortunately, you cannot add an item to an already placed order. Please place a new order. How do I order a currently out of stock article and how long will the delivery time be? Please enter your e-mail address in the space provided for the out of stock item. You will receive a notification once it’s back in stock, including approximate delivery time. Or, contact our customer service at +49 3521 468 600. Does MEISSEN offer crockery rentals for special occasions? Yes. Please contact our customer service at +49 3521 468 600 or via the contact form. Does MEISSEN offer the possibility of a wedding registry? For wedding registries, we will gladly advise you on various possibilities in one of our MEISSEN Stores. I would like to complete my Meissen Porcelain, but I cannot find the pieces in the online shop. How can I make a back-order? Please contact our customer service or go directly to one of our MEISSEN Stores, where we will check whether a replacement order is possible and how much it will cost. I do not live in Germany. Can I still order from MEISSEN? 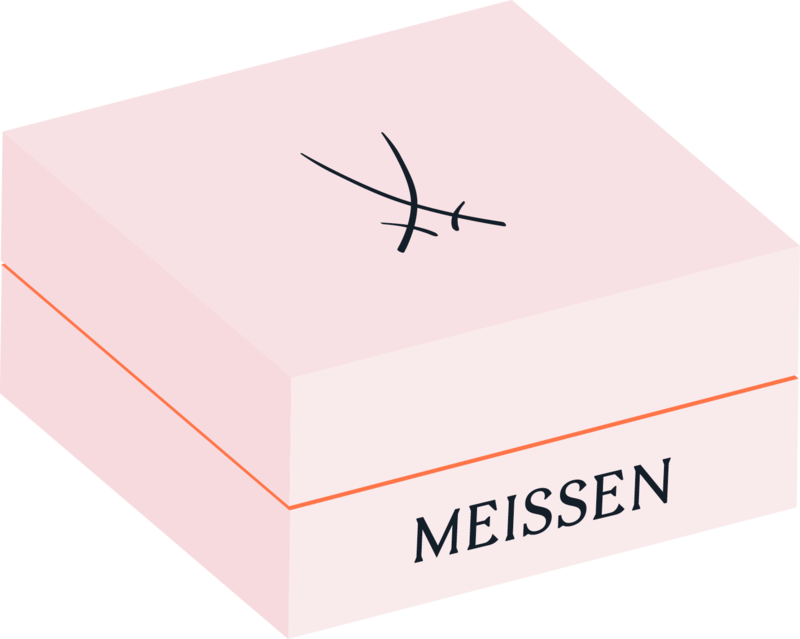 Unfortunately, delivery of orders made from the MEISSEN website are currently only possible within the EU. If you would like to order from a country outside of the EU, please contact our customer service at +49 3521 468 600 or via the contact form. Does MEISSEN offer a complete catalogue of all products? Due to the range of products we offer, a complete catalogue is not available. However, you still have the possibility of ordering individual product catalogues. Simply contact our customer service at +49 3521 468 600 or fill out the contact form. In addition, you can visit our catalogue page to view the catalogues online or ask them to be sent to you.